21 posts categorized "Holly's Customer Promo"
Today is the last day to purchase the Perfectly Wrapped Project Kit and Perfectly Wrapped Stamp Set with me from August 1-31, 2016 and receive a brand new package of Rhinestone Basic Jewels! This is a great little kit and so fun to put together. To make the kit exactly as shown in the catalog you do need the Perfectly Wrapped Stamp Set too. Here is a picture of what is in the stamp set. I love all the greetings and the font in this set! This set and project kit are on page 159 in the Stampin' Up! Catalog. The Perfectly Wrapped Project Kit makes 4 of these adorable gift bags! Love these bags and they are very easy to assemble! You just need the following inks; Tuxedo Black Memento, Mint Macaron and Tangerine Tango plus the Perfectly Wrapped Stamp Set to create the tags along with adhesive. The Perfectly Wrapped Project Kit makes 4 of these AWESOME little boxes. I love that flower on top!! Perfect for going into fall too. The tag was stamped using the Perfectly Wrapped Stamp Set and the following inks: Tuxedo Black Memento Ink, Tangerine Tango and Mint Macaron. Another bag style is in the Perfectly Wrapped Project Kit. It creates 4 of this cute cellophane bags! These are supper easy to make just follow the directions in the kit! I decorated the tag using the Perfectly Wrapped Stamp Set and the following inks, Tuxedo Black Memento and Emerald Envy. And lastly it makes this AWESOME box. Is this not adorable!!! The Perfectly Wrapped Project Kit creates 4 of these boxes! The tag was pretty simple just stamp the saying from Perfectly Wrapped Stamp Set in Tuxedo Black Memento ink and done! This kit is perfect for anyone!! When you are all done assembling the kit this is what you will have!!! The 2016-2018 In Color Mini Class went live Friday Night!! Those that purchased the class received an email from me. If you did not get your email please check your spam folder before emailing me. Thank you! You can still purchase the class!! You will have access for a year from the class start date!! You receive instant access to all the projects. My August Customer Promos are here! Thank you all for your continued support! If you have placed orders for this month already with me your orders do qualify for my customer promos. Place an order through my Stampin' Up! On-line Store from August 1-31, 2016 and receive this card and a free mini pdf when you use the hostess code above. I will email you the mini pdf and mail out the card. Purchase the Perfectly Wrapped Project Kit and Perfectly Wrapped Stamp Set with me from August 1-31, 2016 and receive a brand new package of Rhinestone Basic Jewels! Here is the picture of what the Perfectly Wrapped Kit Makes! Zip the Emerald Envy card stock through the Big Shot with the Sparkle Embossing Folder. Add a piece of Fabulous Foil Designer Acetate and Pop of Pink Specialty Designer Series Paper. Take the flower stamp from Perfectly Wrapped Stamp Set; ink it in Tangerine Tango and stamp onto a piece of Tangerine Tango card stock. Stamp the greeting and dots from the Perfectly Wrapped Stamp Set in Tuxedo Black and Emerald Envy onto a piece of Whisper White card stock. Die cut out the Whisper White and Gold Foil Sheet using the Big Shot and Layering Circles Framelits. Technorati Tags: #rubberredneck #stampinup #perfectlywrapped #cards, Customer Promo, Demonstrator Holly Krautkremer, Perfectly Wrapped, Perfectly Wrapped Project Kit, Rubber Redneck, Stampin' Up! My June Customer Promos are here! Thank you all for your continued support! If you have placed orders for this month already with me your orders do qualify for my customer promos. Lots of stuff to share with you all today! Place an order through my Stampin' Up! On-line Store from June 1-30, 2016 and receive this card and a free mini pdf when you use the hostess code above. I will email you the mini pdf and mail out the card. Place an order of $30 or more (before shipping and tax) with me from June 1-30, 2016 and receive a sample of Playful Palette Designer Series Paper!! Here is the picture of what you will receive for qualifying orders. This is some really fun and playful designer paper! New Customers: Place of $50 or more (before shipping and tax) and join my newsletter/mailing list and receive my 2016-2018 New Catalog Package FREE!! Every month I email out a newsletter with an exclusive Hostess Code, My Customer Promotions, any Stampin' Up! Promotions, Tips and etc. (I don't share your email address with anyone) I will mail you; your complimentary catalog along with all the goodies pictured above!!! Includes FREE shipping. Limit 1 per year. Details on my Get Your Free Catalog Page. Sign Up for the New 2016 Stampin' Up! Catalog Product Shares!!! The new catalog is out and there are soo many new and awesome products!! I am offering Product Shares from June 8 - August 31, 2016. Great way to get a sample of the AWESOME new products!!! I also have a special coupon for June for the Product Shares too!!! Purchase $30 worth of shares before shipping and receive a Solid Baker's Twine (your color choice) FREE!! Get EXTRA Hostess rewards with qualifying orders!! Details: June 1-30, 2016. Place an order or have a book party of $350 or more and receive and additional $35 in hostess rewards!! Demonstrator orders qualify for this promotion!! If you personally have a wish list that long...Join my team and the Stampin' Up! Family!! Stampin' Up! has a special promotion right now for New Demonstrators!!! GET TWO STAMP SETS FREE! Purchase the $99 starter kit (your choice of up to $125 in products – that’s $26 FREE and the kit ships FREE, too). During June add ANY TWO stamp sets, ANY price FREE as a kit bonus! Online IDA: Thursday, June 30, 2016 by 11:50 PM (MT). Email me with questions or more details HERE. Ink the stamp from Confetti Celebration Stamp Set in Peekaboo Peach and stamp onto the Peekaboo Peach card stock. Add some Playful Palette Designer Series Paper. Die cut out a piece of Silver Glimmer Paper with the Big Shot and Star Framelits. The 3/8 Peekaboo Peach Ruched Ribbon adds a fun touch to the card. Die cut out a piece of Sweet Sugarplum card stock with the Big Shot and Layering Square Framelits. Stamp the greeting from Confetti Celebration Stamp Set in Emerald Envy and stamp onto Whisper White card stock. Zip through the Big Shot with the Layering Squares Framelits die cutting it out. Technorati Tags: #confetticelebration, #rubberredneck, #rubberredneckpromo, #stampinup, Big Shot, Confetti Celebration, Demonstrator Holly Krautkremer, E-Class, June Promo, On-line Class, Playful Palette Designer Series Paper, Rubber Redneck Customer Promotion, Stampin' Up! Get your New 2016-2017 Stampin' Up! Annual Catalog and FREE Goodies!!! Who doesn't love FREE Goodies!!! All you pay is shipping (or you may be eligible for FREE shipping, details below!) Each packet contains a New 2016-2017 Stampin' Up! Catalog, a 2016-2018 In Color Bookmark, Sticky Note Holder to mark your pages, Thank you Card, a Wish List for you to write down all your must have NEW Stampin' Up! products, a coupon sheet for the year, and a coupon sheet for my upcoming on-line classes!! One of my favorite things about the new catalog is the NEW 2015-2017 IN COLORS. I just LOVE getting new in colors every year!! I've included an In Color Book Marker and a hand stamped thank you card!! I want to make sure everyone of my customers get a really good look at the new in-colors and see how AWESOME they are!! You'll be able to see the color of the ink stamped and a punched piece of card stock in person. NEW this year is a stick note holder to help you mark your catalogs (SWEET) also special coupon sheets for the year and one for my upcoming on-line classes. AWESOME SAUCE!! I appreciate your support so much!!! * Join one of my clubs: I offer many different clubs and when you join one you automatically receive the new catalog!! Includes FREE shipping. Limit 1 per year. * New Customers: Place an on-line order through me of $50 or more (before shipping and tax), use this month's Hostess Code: MQC7QWFZ (Please don’t use the hostess code if your order is $150 or more) and join my newsletter/mailing list. Every month I email out a newsletter with an exclusive Hostess Code, My Customer Promotions, any Stampin' Up! Promotions, Tips and etc. (I don't share your email address with anyone) I will mail you; your complimentary catalog along with all the goodies pictured above!!! Includes FREE shipping. Limit 1 per year. * Just Want the Catalog and Goodie Package: You can purchase the catalog and goodies for $5 plus shipping (ships out flat rate priority mail). Click the Pay Now Button below. Please be sure to check your PayPal address when checking out and update if need be.This is the address where your catalog will be sent to and I will not pay to resend it. Great way to get a sample of the AWESOME new products!!! For ONE DAY ONLY, new subscribers can get their first kit for just $5 USD!! Have you been wanting to see what this is all about? Now is the perfect time to check it out!! Paper Pumpkin Kit Subscribers receive a fun crafting kit in their mailbox once a month, and it's filled with all the fun supplies you'll need to create things like cards, tags, home decor items, party favors, and more! I love getting this box every month!!! Sign Up for My Paper Pumpkin!!! Sign Up for the 2016 New Catalog Product Shares!!!!!!! It's here what you've all been waiting for!! My New 2016 Stampin' Up! Catalog Product Shares!! Currently the 3/8 Ruched Ribbon is Sold Out and won't be available to order till July 11, 2016 this will effect certain share offers. THEREFORE: I will not be able to receive the 3/8 Ruched Ribbon until sometime later that week, and the Shares that will be effect by this will not be mailed until sometime during the week of July 25th. I apologize for this delay but it is out of my control. I will be offering the shares from June 8 - August 31, 2016. How to Sign Up: I'll send out a Paypal invoice once the spots are all filled up. The paypal invoice will need to be paid within 48 hours. I will combine shipping to save money if you would like to order multiple shares; if you’re local we can schedule a pick up time for you!! 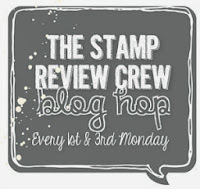 I will place the order (assuming there are no back-orders) once the order has shipped to me from Stampin' Up! I will divided out the shares and ship them directly to you home. Please note this is very time consuming so it will take a few weeks. Thanks in advance for your patience! All shares will go out by US Flat Rate Priority Mail. Once the share's have shipped I will email you a tracking number. If there is a delay I will notify you as soon as I find out. Below are all the fabulous Shares that I offer!! This 6 x 6 Bundle includes the following: 36 Specialty Designer Series Paper (Pop of Pink, Affectionately Yours, Irresistibly Floral, This Christmas). 36 Designer Series Paper (Floral Boutique, Moroccan, Fruit Stand, Blooms & Bliss, Festive Birthday, By the Shore). 36 sheets from the 6 x 6 Stacks (A Little Foxy, Scene Scenery, Playful Palette). 20 Envelope Paper (2016-2018 In Color, 2015-2017 In Color). 3 Fabulous Foil Acetate. 10 2016-2018 In Color Designer Series Paper Stack. You’ll get a total of 141 sheets of 6″ x 6″ Paper! This share includes 10 yards of ribbon, 2 yards of each of the 5 new In Colors 3/8 Ruched Ribbon Colors! This trim comes in the– Dapper Denim, Emerald Envy, Flirty Flamingo, Peekaboo Peach and Sweet Sugarplum. You’ll LOVE this ribbon in all of these YUMMY colors!! This share includes 8 yards of ribbon total- 2 yards of each of the 4 new colors released in the 3/8″ Stitched Satin Ribbon. This ribbon comes in the following colors – Pool Party, Blushing Bride, Real Red and Very Vanilla. Gorgeous soft satin ribbon with tone-on-tone stitched lines down the center. This share includes 10 yards total- 2 yards of each of the 5 returning 2014-2016 In Colors 5/8 Mini Stripped Ribbon. This ribbon comes in the following colors; Cucumber Crush, Delightful Dijon, Mint Macaron, Tip Top Taupe, Watermelon Wonder. Love the look to this fun ribbon! This share includes 13 yards total of the following of new ribbons and trims available in the new catalog. 2 yards each of the new 1/4 Natural Trims in Gold and Silver, 2 yards each of the 1/8 Stitched Ribbon in Melon Mambo and Smoky Slate, 2 yards of the new Mint Macaron 3/8 Sheer Lace Ribbon, 1 yard of the new 5/8 Burlap Ribbon, 1 yard of the Whisper White Mini Pompom Trim and 1 yard of the Very Vanilla 1/2 Lace Trim. You will love this fun bundle of a little bit of this and that! This share includes 54 yards total of the following: 3 yards of each new Thick Baker Twine Colors Cucumber Crush, Melon Mambo and Whisper White. 5 yards each of the new Solid Baker’s Twine Colors; Basic Black, Blushing Bride, Elegant Eggplant, Emerald Envy and Night of Navy! 10 yards of each new Metallic Thread Colors; Basic Black and Copper! This share is a must have! Get a discount with I want it all Ribbon Bundle Share!! Want a sample of all the new fabulous ribbons from the new catalog? If you are like me this bundle is perfect for you! You will receive a total of 95 yards in all the ribbons mentioned in the shares above. This bundle includes 1 of each color in the 2015-2017 In Color Doily Pack, 3 Delicate White Doilies, 2 Gold Binder Clips, 2 Clear Tiny Treat Boxes, 2 Glassine Gift Bags, 5 Gusseted Cello Bags, 5 2″ x 8″ Cello Bags, 20 Metallic Enamel Shapes (3 mini circles, 2 small circles, 2 hearts and 3 stars in both Gold and Silver), 40 Enamel Shapes for the 2016-2018 In Colors (2 Mini circles, 1 small circle, 2 hearts and 3 stars for each of the 5 colors) and 120 Enamel Shapes in the Color Collections (1 Mini Circle, 1 Small Circle, 1 Heart and 1 Star in each of the 10 colors within the 3 color collections of Subtles, Brights and Regals). That’s 204 pieces total!! You want a sample of it all then this share is for you! Get all 7 Shares I have listed above in this share!!! Purchase the I want it all; so much easier than trying to decide what to get! PLEASE be sure your shipping address is accurate on PayPal. I will not pay to reship packages if your address is incorrect. Stampin' Up! released the Retiring List: I didn't post it yesterday due to some technology glitches going on. I apologize for any frustration this caused and hope today is much smoother. Thank you for your patience!! I suggest you give it another try if your order didn’t go through earlier. You don’t want to miss out on this amazing retiring product sale (save up to 50%)! Please Note: if you select NO CONTACT at check out I can't email you or mail you any of my promotions or free product that your order may qualify. Be sure to NOT select No Contact. IMPORTANT FOR ALL ON-LINE ORDERS THOUGH ME! PLEASE USE THIS MONTH’S HOST CODE GS62RT4W when you place your on-line order through me for ALL product orders up to $150. If your order is $75 or more (before shipping and tax), I’ll send you a package of Bermuda Bay Baker's Twine just in time for summer!!!. The Dates for this special April 19 - 30, 2016. Please do not include the host code on orders of $150 or more (before shipping and tax). Product orders of $150 or more will earn stampin rewards as well as qualify for the Bermuda Bay Baker's Twine from me automatically. The Baker's Twine will arrive in mid-May, separately from your order. My host code offer ends April 30. Your order will also qualify for all my other April Customer Promotions too!! The 2016-2017 New Catalogs are Coming!!! Yesterday I got to see the new catalog!!! SQUEEELLLLLLLL One of the special perks of being a Stampin' Up! Demonstrator is getting to see items before they are available to the public!!! It is AWESOME and DA BOMB!!! I've been a Stampin' Up! Demo for over 13 years now and it is by far the BEST Catalog they have ever had!!!!!!!!!!!!!!!!!!!!!!!!!!!!!! Lots of gorgeous new papers, awesome stamps, beautiful new ribbons....Oh My. How Can You Get a FREE Catalog??? If you have ordered $50 or more in Stampin' Up! products from me January 1 - May 1, 2016 you will receive 1 FREE Catalog from me at no charge. I will be mailing them as close to the middle of May as possible. 2. Verify that your mailing address is correct so that you receive the catalog I mail. To verify that.. click here, then SIGN IN, then click MY ACCOUNT, then click MY DEMONSTRATOR and make sure you see this info... CLICK YES so that I can see who you are. SAVE CHANGES and you are done! 4. Join one of my clubs I have many different club offers available. I have my 6/$25 Club, 6/$50 Club, New Project Life Club Coming Soon, and some other club options too!! Look for details mid May!